Up to 90% of the population will suffer from low back pain at least once in their lifetime while chronic back pain usually develop due to poor management. A common symptom of low back pain is back stiffness which persists and tends to stay for a long period of time. Do you have back problems that you can’t seem to resolve? 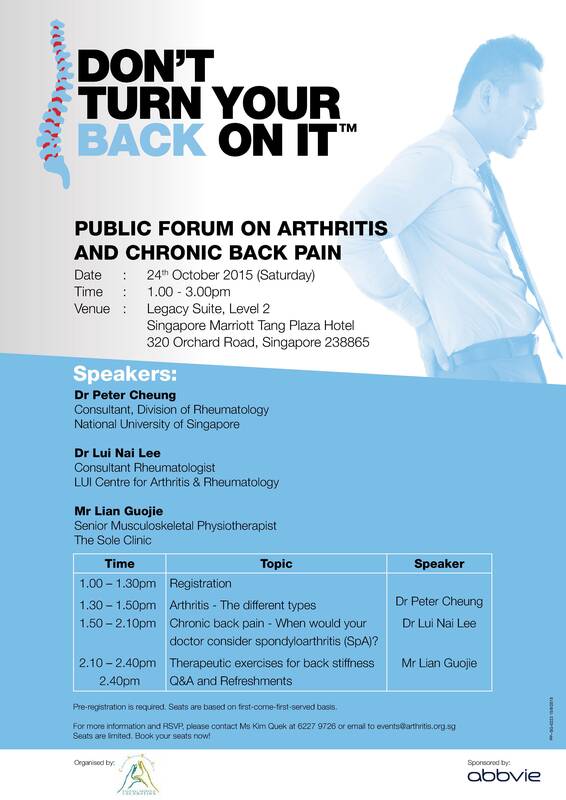 In this public forum, our very own Senior Musculoskeletal Physiotherapist, Guojie, will be discussing about specific exercises that are usually prescribed for people with back stiffness, including those unaffected by arthritis. Feel free to approach us for more information, or you can contact Guojie personally at The Sole Clinic to find out more!